Corvette B is a Variation of of the Corvette A. 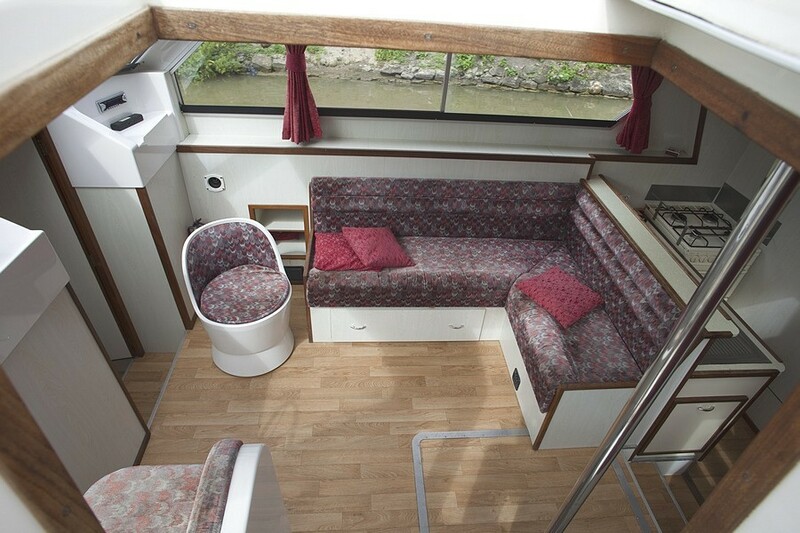 As spacious and modern as the Corvette, but with the option of bunk beds in the rear cabin. 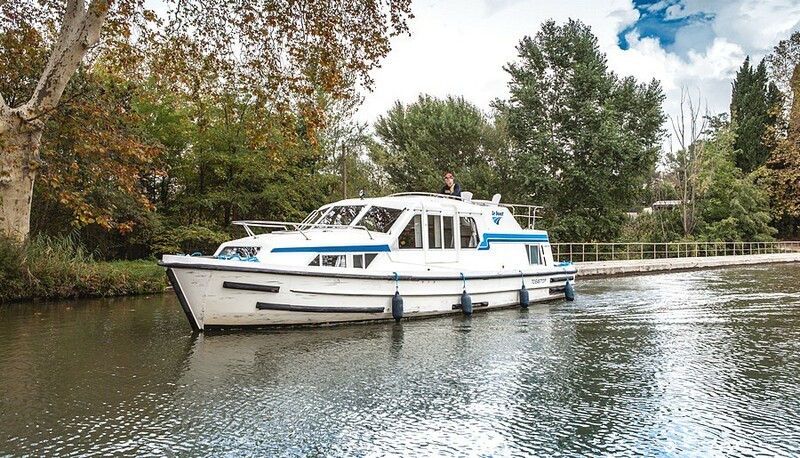 Corvette B is the perfect boat for two couples cruises. 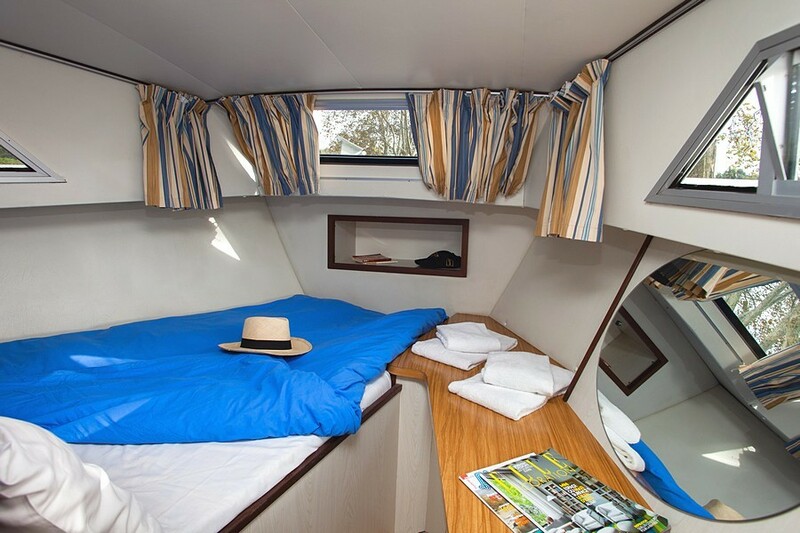 One room at the front, another at the back, each one with its own bathrooms, with a living room at the middle of the boat that ensures you privacy and tranquillity. 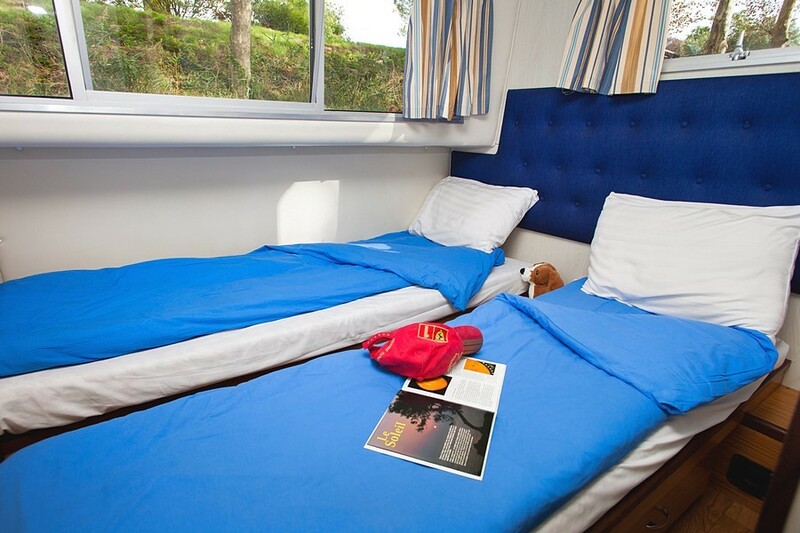 In the back stateroom, there is a bunk bed that can be changed in a double bed, making this boat a good choice for two couples or a family with two children. There is space for tables and chairs on the sundeck. Have a break under your parasol watching the sunset, with your evening cocktail ! 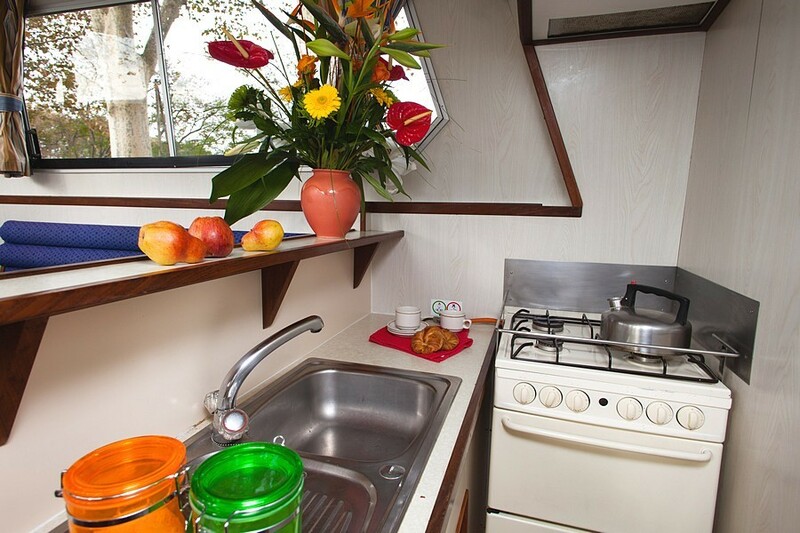 Cook on board as if you were at home! 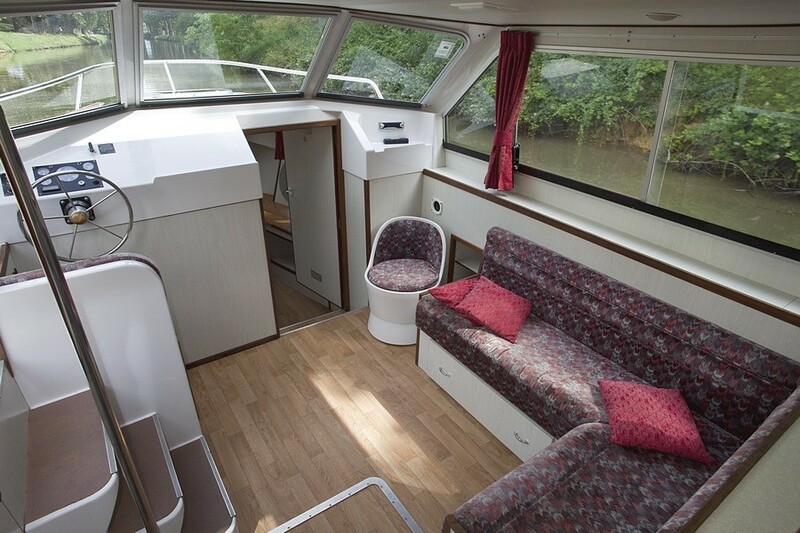 There is a terrific spot to steer on the sundeck, and a comfy seat and helm in the saloon. 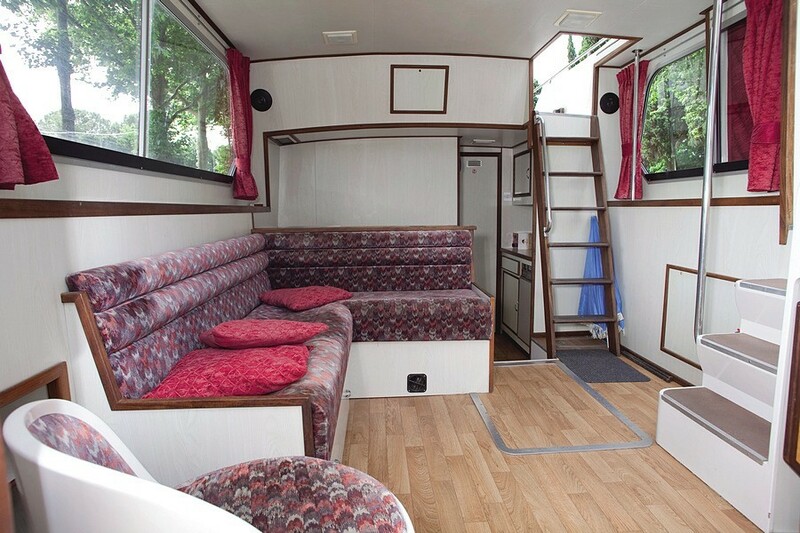 The central saloon has a dining table and chairs, a radio/CD player, and a steering position." 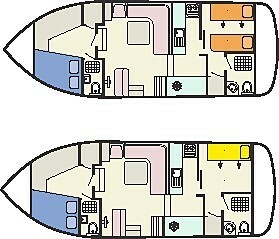 The aft (rear) cabin has has bunk beds that convert to one double bed. 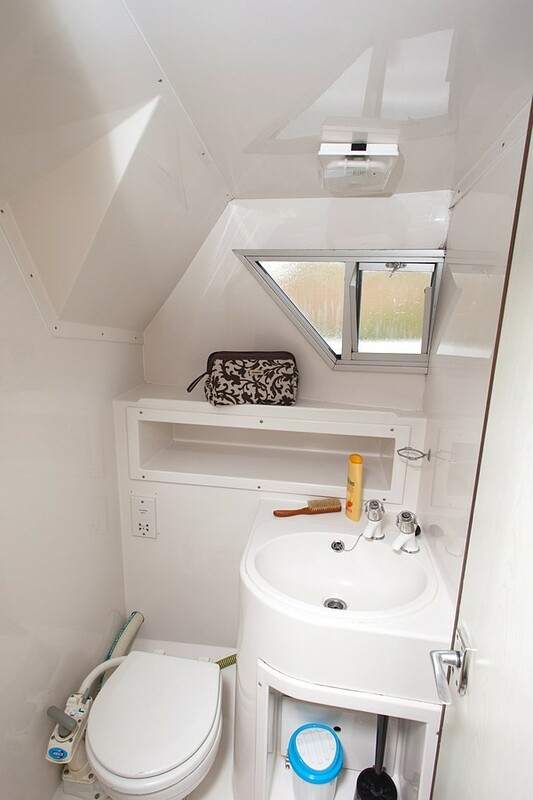 There's also an en-suite bathroom with a shower and toilet. 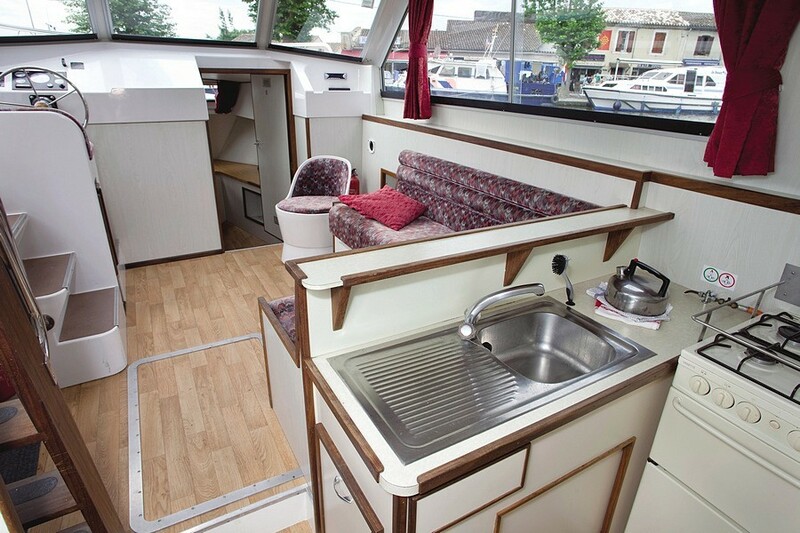 At the front of the boat, the cabin offers a double bed and en suite bathroom that includes toilet and a shower." 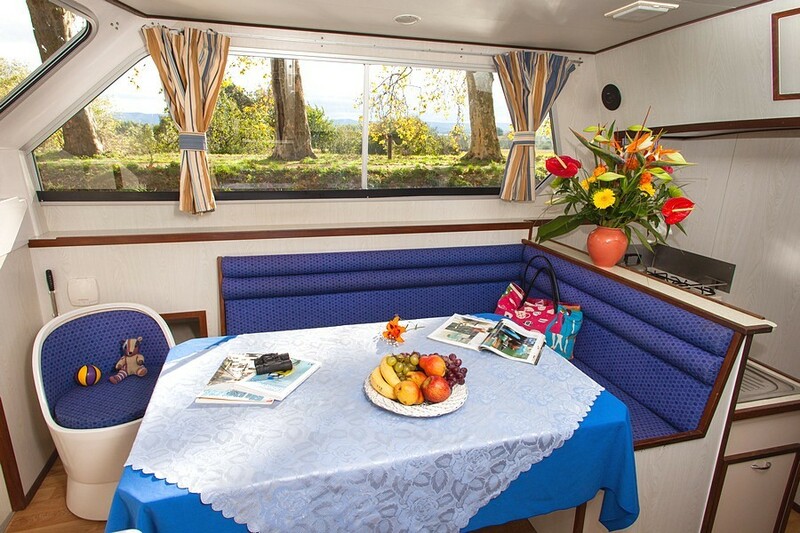 The sundeck is large enough to accommodate a dining table and chairs for alfresco dining. An umbrella provides protection from the sun. Visibility from the second steering position is fantastic. 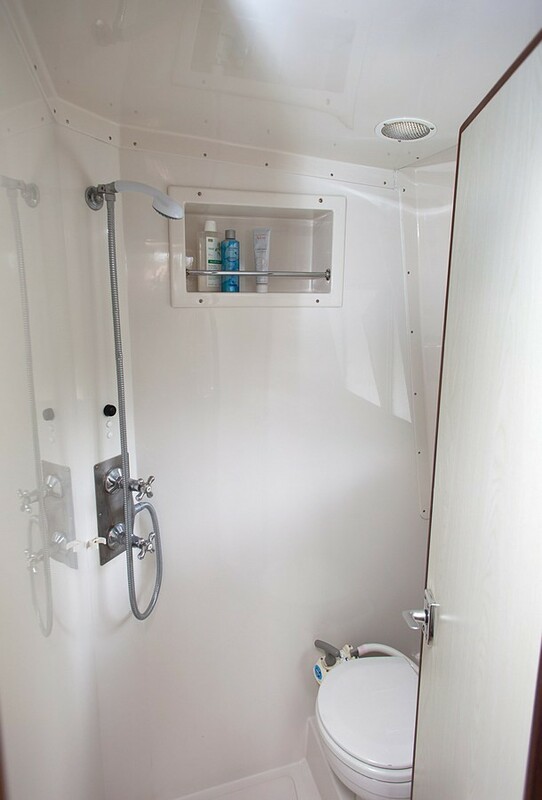 Access to the saloon ensures smooth flow-through in the design. 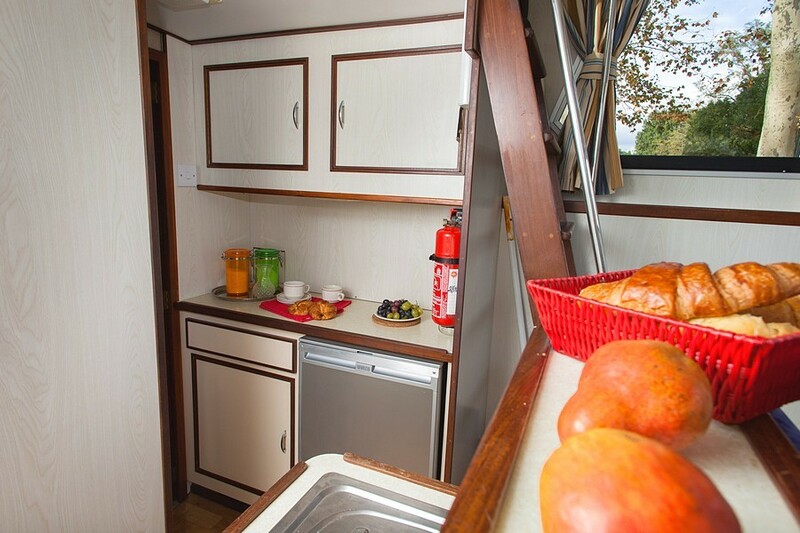 A safe is aboard for your security and convenience. 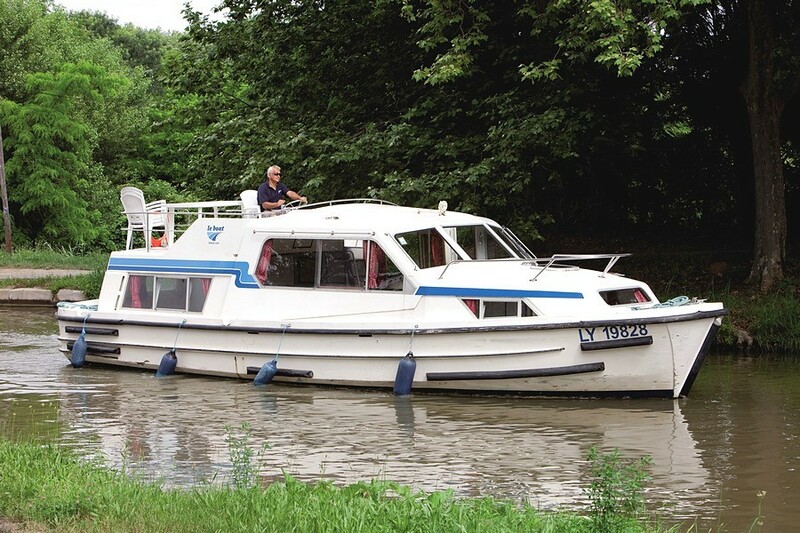 The onboard electrical system runs on 12-volt DC power. There’s also 220-volt shore power. The Corvette is equipped with an efficient and reliable diesel engine."